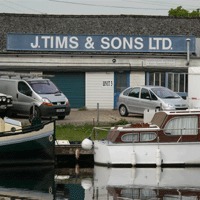 J TIMS AND SONS is a family run business and has been providing factories/workshop’s/warehousing and office space for over 60 years. Originally a working boatyard, this industrial estate is situated in pleasant riverside surroundings on the Thames at Staines in Middlesex. The site comprises of a mix of modern workspace (factory/workshop/warehousing) and recently refurbished older workshop’s and factory units. Tims boatyard is a thriving hub of small businesses, the need for these small to medium sized factory/workshop/warehouse units is ever present and J TIMS AND SONS have been fulfilling this demand successfully for many years, our success is based on our experience of providing the right factory/workshop/warehouse to meet the needs of local business. Our workshops, offices, warehouse and factory unit’s vary in size from 230sq ft - 2,420sq ft, and are currently home to a wide range of differing business's, from joinery workshops to a television production company. 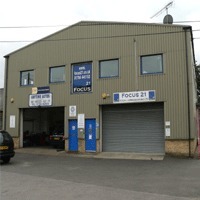 Our smaller factory/workshop/warehouse unit’s are particularly attractive to enterprising new businesses starting out and with the prospect of re-locating within the estate when the business grows TIMS BOATYARD is the ideal place for YOUR business. The estate benefits from a friendly on-site manager and the Tims management team are available from 8:00am- 5:00pm Monday to Friday. The hours of business for the tenants are very flexible. The estate is protected by an automatic security gate which closes at 6:30pm and opens at 7: 00am, on Saturday the gate is open from 8:00am to 12:30pm, access outside of these hours is via a coded keypad or by a remote control key fob.